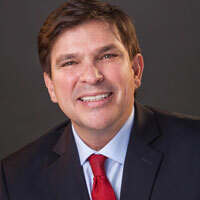 Vicente Gonzalez serves in the United States Congress as the elected representative of the 15th District of Texas which encompasses the growing suburban counties of Guadalupe down to Hidalgo. Congressman Gonzalez came to Washington to fight for South Texans and ensure individuals and communities have the resources and opportunities needed to succeed. Congressman Gonzalez was born in Corpus Christi, Texas. After earning his GED, he attended Del Mar College where he received an Associate’s degree in Banking and Finance in 1990. He earned a Bachelor’s degree in Business Aviation in 1992 from Embry Riddle University and later a Juris Doctorate from Texas Wesleyan University School of Law (now Texas A&M School of Law) in 1996. While attending law school, Congressman Gonzalez worked as an intern in the office of Congressman Solomon P. Ortiz. In 1997, he opened his law practice, V. Gonzalez & Associates. Congressman Gonzalez was influenced by his father, a Korean War veteran, to help individuals fight for their rights while practicing law for 20 years. He stood with working families wronged by corporations and took on unscrupulous vendors, recovering millions in school bond revenues for taxpayers. In Congress, he continues that fight from the Committee on Financial Services. Congressman Gonzalez is also committed to improving health care for those who need it most: children with special needs, seniors, and the disabled. A lifetime resident of South Texas, Congressman Gonzalez is married to Lorena Saenz Gonzalez, a former teacher and school administrator in Edinburg and McAllen. They reside in McAllen.